The distinctive style of this comfortable modern building is guaranteed to appeal to both families and business professionals. 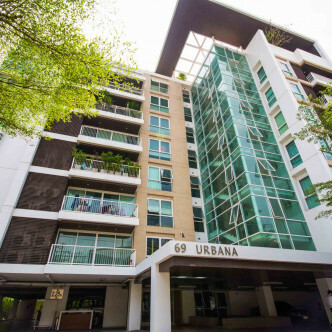 Urbana Sukhumvit 15 was built in 2004 and features 51 large units set on eight floors. 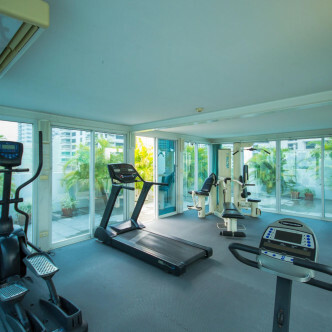 Each of the units here is fully furnished and comes complete with a wide range of modern conveniences such as balconies and en suite bathrooms. 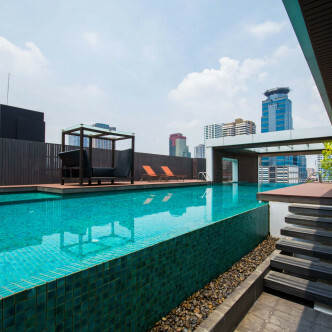 Urbana Sukhumvit 15 features plenty of great facilities for residents to use in their leisure time. The elevated outdoor swimming pool is simply stunning and offers swimmers and loungers enchanting city views, while the fitness centre is stocked with a range of modern gym equipment. The building also boasts a modern sauna for residents to unwind in while they work up a sweat. 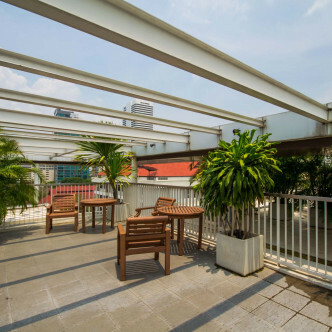 The convenient Asok BTS station is just short walk from Urbana Sukhumvit 15, which makes this an excellent location for people who want to be connected to the rest of the city. 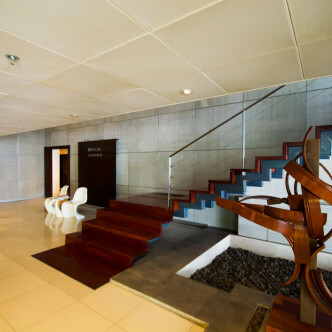 This neighbourhood also offers convenient access to the MRT network via Sukhumvit station. The Asok area features an excellent range of amenities for residents such as shops, restaurants, bars and clubs, making this a great neighbourhood for people who like to play as hard as they work.